A literature rack in the lobby of your church can provide easily accessible information about your beliefs to visitors, as well as give those of your congregation a simple resource for sharing your message. Additionally, it can be a source of inspiration and direction while also providing local church updates, and can ultimately enhance the worship and fellowship of your congregation. 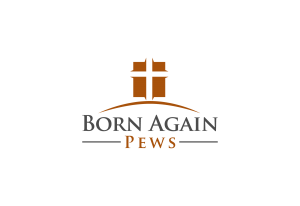 Born Again Pews does more than serve those in search of church pews for sale, part of their ministry is creating projects that fill the needs of your chapel and congregation. They are happy to work with you to determine the style, color, finish, and function that will work best for your chapel’s literature display needs. Before you call, however, take some time to examine exactly what your church needs. The first aspect to consider is exactly what types of materials you will be putting on display and how much material will need to be displayed at one time. Consider the size of any current printed materials and how they will dictate rack size, or if you could change the dimensions of your material to better fit your display needs. If your materials are going to be various sizes, think about different designs for the top and bottom of your display rack to accommodate all brochures, fliers, and leaflets. People are much more likely to interact with literature if it’s noticeable, rather than hiding behind other material or the rack itself. Make sure your congregation will be able to easily see and access your materials when you go about selecting or creating a design. Your literature rack may be an addition to a well-loved chapel whose furniture has a distinctive character, or it may be part of your plans for a new church in your community. Regardless, Born Again Pews specializes in creating furniture that will fit the atmosphere of your particular chapel. They already create pulpits and other furniture that match their church pews for sale, so crafting a literature rack to fit your chapel will be no different. 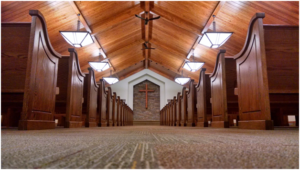 Their goal is to enhance the worship services of congregations all over the country by personalizing their beautifully crafted furniture to fit the look and feel of each chapel. Counter-top displays are handy for smaller pieces of literature, such as business cards, pictures, magnets, bookmarks, or handmade announcements or handouts. However, wall-mounted racks will save a great deal of space and are easily seen and accessed by those passing by. Not to mention members of your congregation will always know where to go for magazines, leaflets, or announcements if your rack is attached to the wall. As your ideas for your chapel’s literature rack come together, keep size and location in mind. You may want a large rack to hold all your material, but two smaller racks may fit better in your church foyer. Consider needs for racks in offices or classrooms, as well as multiple entryways. Planning for future display needs is also recommended. If your congregation has seen significant growth in the past while, you may end up needing more space for printed materials than you originally thought. Providing your congregation access to spiritually uplifting magazines and pamphlets is a wonderful way to keep the church service going all week, and Born Again Pews is dedicated to helping congregations do just that. Their staff is eager to work with you to create furniture that will help further the ministry and create a truly uplifting worship experience for life.